Click the link below to read or listen to Jack's story of his experiences at Pearl Harbor on December 7, 1941. His wife's story is also there in the printed version. Use the handout to write your responses and then return to the main WWII Oral History page for the next assignment. 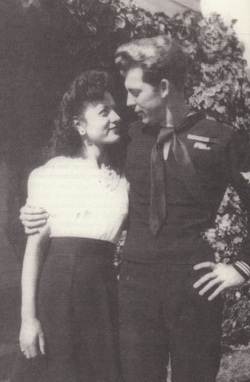 Jack and Mary Jo Hammett in 1943.